As usual, we’ve collected free and fresh themes of April 2015 and we hope that you will find a good one for you among them. Also, we encourage you to see the free theme collections for previous months, if you haven’t seen them before. 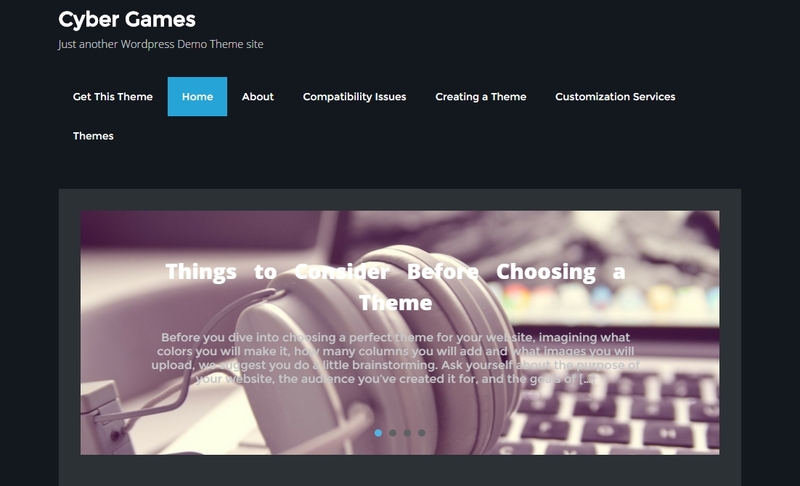 Free theme is a great option to launch your website, if you do not want to invest extra money in it. So you are able to create your project with ease, even if you are far from web development and design. 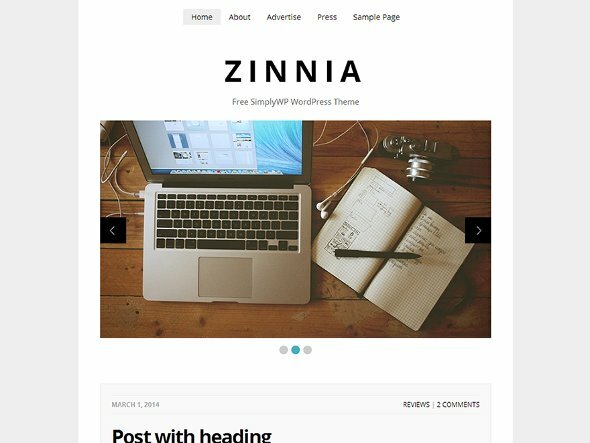 Zinnia comes with minimalist design blog layout and it will focus your visitors on what is really important – the content of your website. It is a stripped back, simple theme that puts the focus on your words. Moreover, it looks effortlessly stylish and elegant. This clean, minimalist theme allow your content to shine without unnecessary bloat or clutter. 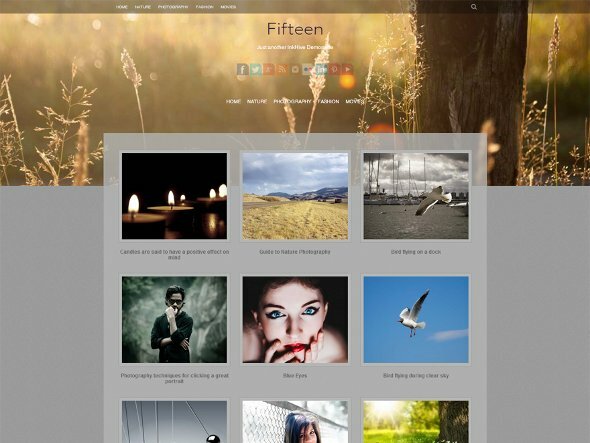 Fifteen is the best solution for professional artists since it is portfolio or photography based WordPress theme. It is built on the Bootstrap 3.0, CSS3 Framework and HTML5. Fifteen is 100% responsive and has modern design. The theme supports animations, custom widgets and featured images and comes with 3 column grid layout for archive and home pages as well as full width pages. Also, Fifteen looks great on all devices. 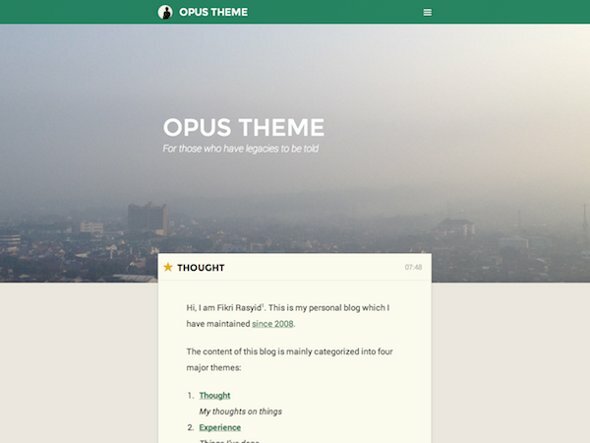 Opus theme offers a flat, clean design ideal for personal websites or blogs. It features a full width, large header images and has a navigation is the form of a hamburger button at the top of the page that displays a full screen menu. Opus a simple and great theme for a classic blog since it has not sidebars or other customizable stuff. 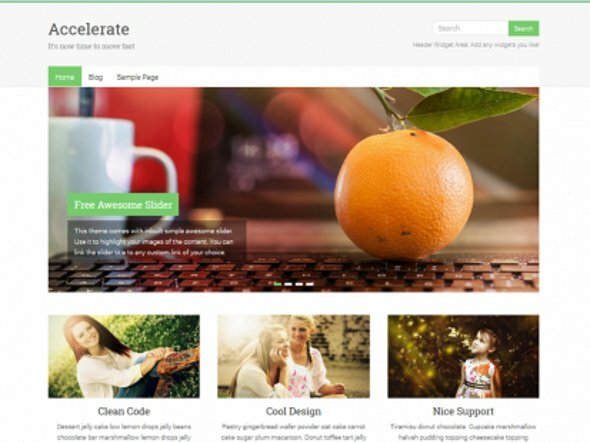 Accelerate is a great blog, business or portfolio theme. 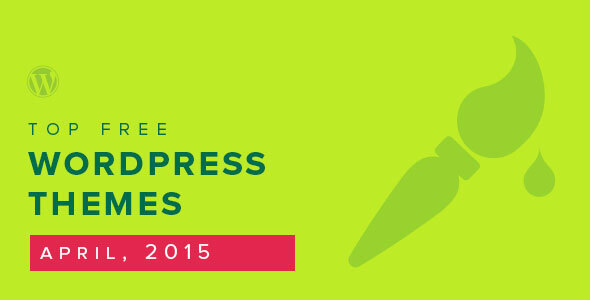 It is ease of use and multipurpose WordPress theme. This theme is a piece of art and was made for simplicity. However, Accelerate has absolutely premium design. Accelerate supports all post formats and it can be used for corporate, portfolio, blog, personal, business services, travel, etc. CyberGames is a professional, user-friendly and unhackneyed theme that would bring out the message on your website that will immerse users into the neoteric world of technological advancement. If you are in search for a simple and flexible theme Thus, whether you are a programmer who wants to pass on knowledge or a gamer wishing to share your experience and give walkthrough tips, we might have exactly what you are looking for! This theme will be perfectly suitable for Technology news, Video and Movie Games reviews, Network Services, Photography, Transport Services, Media News or Event Information. CyberGames will be a superb solution!